A compact bag with an easy drawstring closure and slouchy silhouette features a hidden design detail at the structured base-a heart motif is revealed when you swing this nonchalant style over your shoulder. 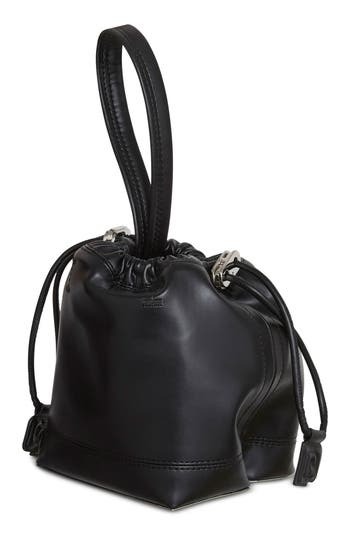 Style Name: Paco Rabanne Mini Pouch Faux Leather Tote. Style Number: 5507801. Available in stores. 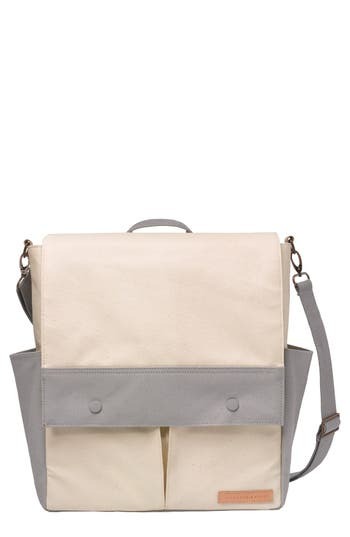 A convertible crossbody tote that switches from over-the-shoulder to backpack carry with quick strap changes is presented in two-tone canvas and has a secret identity-it's a well-appointed diaper bag! Exterior and interior pockets and a snap-top laptop sleeve help keep things organized and a removable changing pad and logo-stamped wipes case make it easy to change baby's diaper wherever you may be. The flat base adds stability and the coated exterior is water-resistant and wipes clean in a snap Style Name: Petunia Pickle Bottom Pathway Backpack Diaper Tote. Style Number: 5165478. Available in stores. A refined take on a classic diaper bag, this sleek nylon tote is sized just right for all of baby's essentials while you are out and about. With top handles and an optional webbed strap, its both stylish and practical. 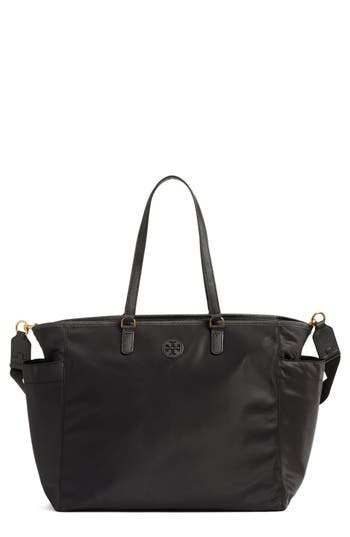 Style Name: Tory Burch Scout Nylon Diaper Tote. Style Number: 5328206. Available in stores. This spacious nylon handbag is a must-have style whether or not baby's along for the trip, thanks to plentiful pockets and a fold-up changing mat. 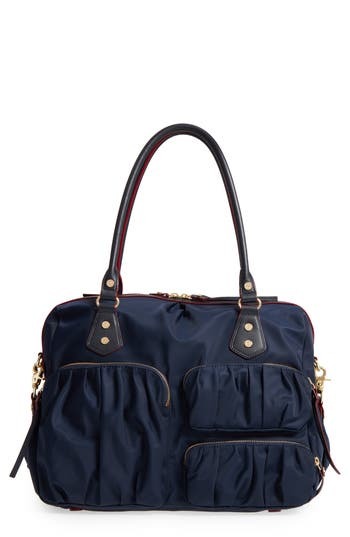 Style Name: Mz Wallace Kate Nylon Diaper Tote. Style Number: 5474802. Available in stores. A bold geometric print adds modern elegance to a sleek glazed cotton-canvas tote with a spacious interior that holds a changing pad and monogrammed wipes case along with all your other essentials, of course. Versatile, stylish and convenient. 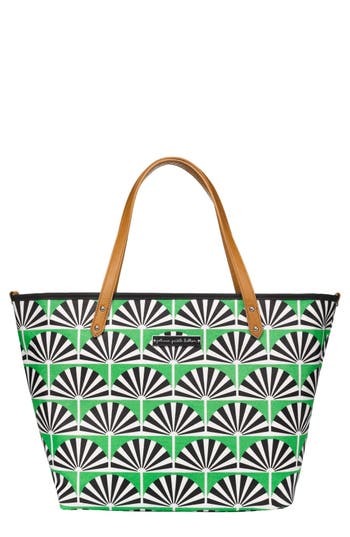 Style Name: Petunia Pickle Bottom 'Downtown' Glazed Canvas Tote. Style Number: 5166648. Available in stores. Webbed shoulder straps carrying a sweet message make this spacious nylon baby tote perfect for the modern mama. Polished studs add streetwise edge, while stroller clips provide a convenient hands-free option. 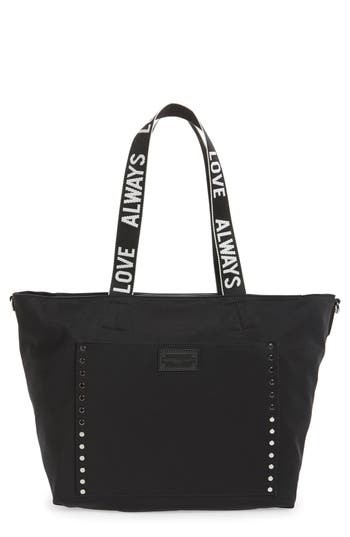 Style Name: Rebecca Minkoff Nylon Baby Tote. Style Number: 5465348. Available in stores. Easy over-the-shoulder handles top a roomy flower-print baby tote made from durable nylon that wipes clean in a flash. A matching changing pad and well-considered pockets inside and out make this a smart choice for fashionable parents and babies. 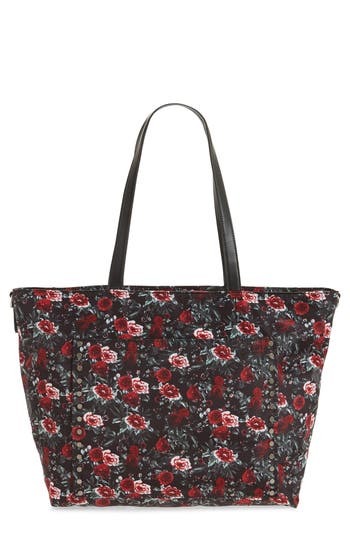 Style Name: Rebecca Minkoff Logan Floral Nylon Baby Tote. Style Number: 5465374. Available in stores. A grab-and-go tote made from cloud-like waterproof nylon features ample space for all your office or workout essentials. With a protective laptop sleeve and plenty of pockets for storage, this versatile style is ideal for active lifestyles. 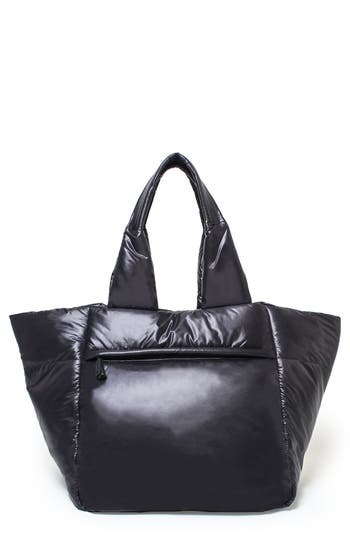 Style Name: Caraa Cumulus Tote. Style Number: 5413826. Available in stores. Stash your workout gear in this ruggedly stylish tote bag featuring a spacious main compartment, zip and drop pockets for valuables and a water bottle, and a subtly shimmery logo print. 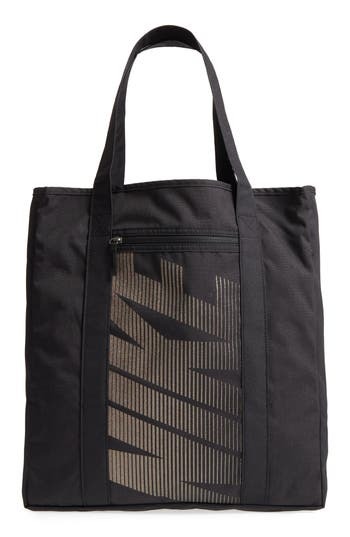 Style Name: Nike Gym Tote Bag. Style Number: 5489169. Available in stores. 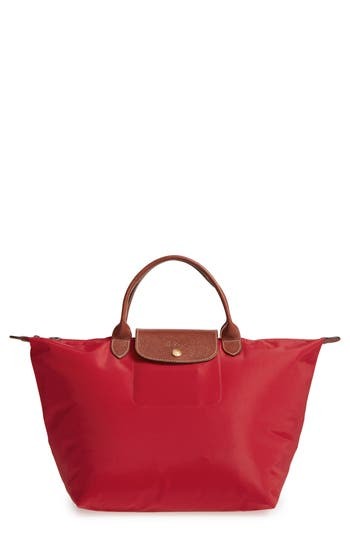 Embossed leather trims a water-resistant nylon tote that folds into a compact shape for storage. Style Name: Longchamp 'small Le Pliage' Shoulder Tote. Style Number: 194598. Available in stores. 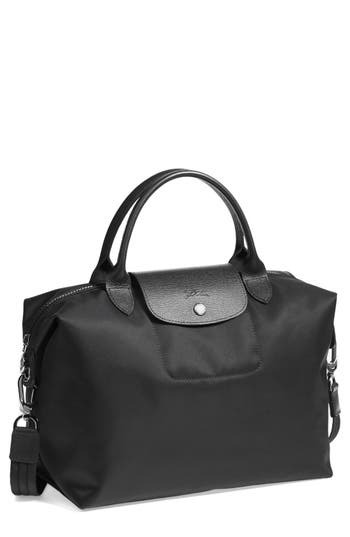 Embossed leather trims a durable, water-resistant nylon tote that folds into a compact shape for travel and storage. 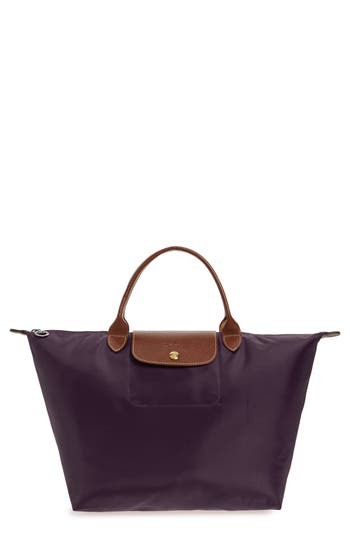 Style Name: Longchamp 'Medium Le Pliage' Nylon Tote. Style Number: 656621. 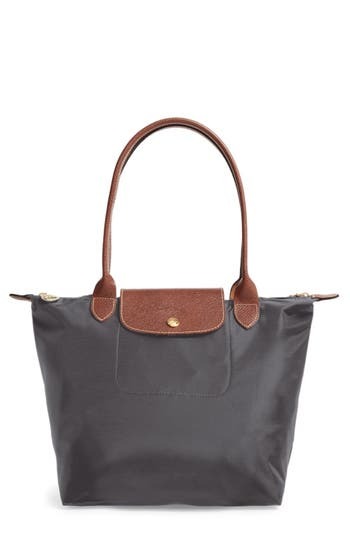 Impeccably crafted and impossibly versatile, this softly structured tote features gleaming chain edging, top carry handles and a longer strap, allowing you to style this bag on your arm or wear it over the shoulder. A shimmering, faux-leather exterior reflects Stella McCartney's commitment to animal-friendly fashion, while an exceptionally roomy interior holds all your everyday essentials. 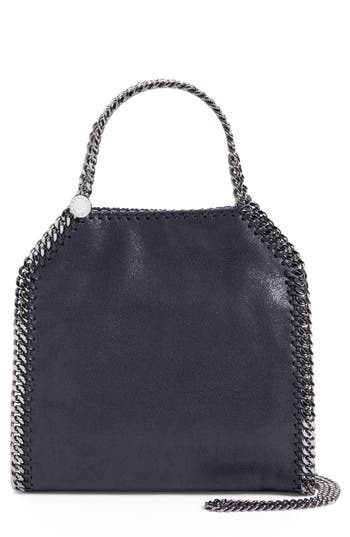 Style Name: Stella Mccartney 'Mini Falabella - Shaggy Deer' Faux Leather Tote. Style Number: 882938. Available in stores. 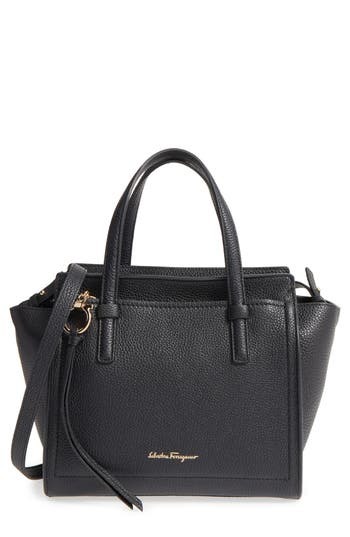 Pebbled calfskin leather lends an air of luxury to a stunning tote accented with a gleaming goldtone zipper and Gancini hardware, while the side gussets add dimension to this bag's classic silhouette. 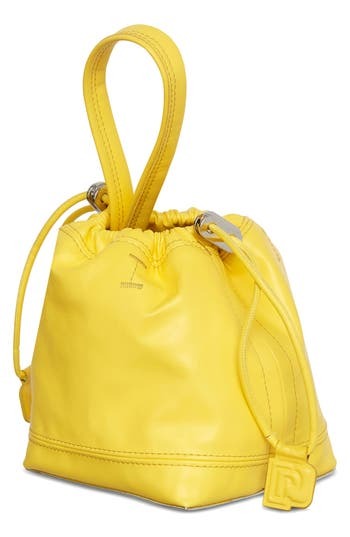 Style Name: Salvatore Ferragamo Small Pebbled Leather Tote. Style Number: 1108771. Available in stores. Embossed leather borders a durable, water-resistant tote that folds into a small rectangle when not in use, making it a perfect stow-and-go accessory. 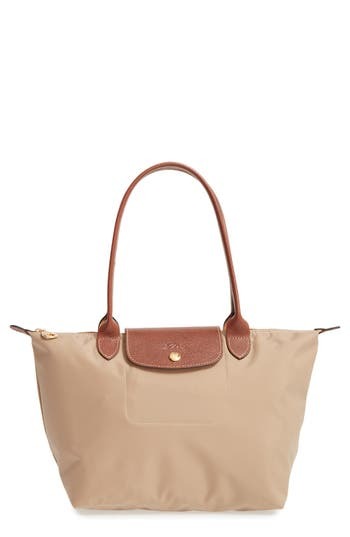 Style Name: Longchamp 'Medium Le Pliage' Tote. Style Number: 515494. Lightly textured leather borders a sleek, classic tote that folds flat when not in use, making it perfect for travel. 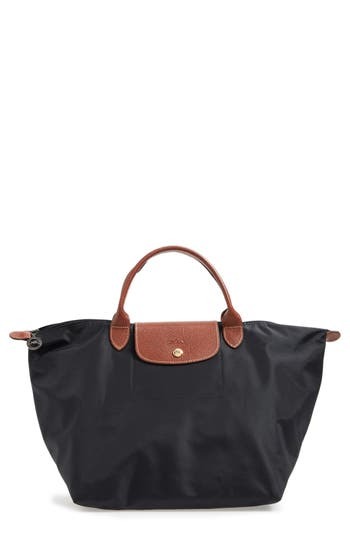 Style Name: Longchamp 'Medium Le Pliage Neo' Nylon Tote. Style Number: 794296. Available in stores.